If the entire thickness of the cornea is unhealthy, a full thickness corneal transplant is required. This is called a penetrating keratoplasty (PK). During a PK, a perfectly round circle of cornea is removed and replaced with donor tissue. It is sutured into place with a stitch that is thinner than a human hair. During the surgery, you may hear the surgeon talking and feel pressure around the eye, but there is no pain and most patients report that the experience was comfortable. Obtaining the best final vision after a corneal transplant can take 6-12 months. After three to four months, your sutures will be slowly removed over several visits in order to make the shape of the cornea as round as possible. Glasses or a contact lens will be prescribed at the end of the healing period. If a problem arises with the eye at any time after surgery, you MUST call our office immediately at (843) 797-3676. Broken sutures, infections, or graft rejection can occur at any time and needs to be addressed immediately. In most instances, there are no complications and better vision is achieved in the end. A very common cause of a cloudy cornea is a damaged inside, or endothelial, layer of the cornea. The endothelial layer is one cell layer thick and can be damaged by surgery or trauma or the cells can die too quickly over time (Fuchs’ Dystrophy). When there are not enough endothelial cells, water can build in the cornea causing vision loss. DSAEK is a technique that replaces just the endothelial layer. The damaged cells are stripped from the eye and replaced with a very thin back portion of a donor cornea. The new tissue is held in place with air in the eye for the day of surgery so that no sutures are needed. On the day of surgery, you must lie flat on your back so the air can push up into the cornea and hold the new tissue in position. Once it sticks to your cornea, it will begin to function and pump the water out of your cornea. 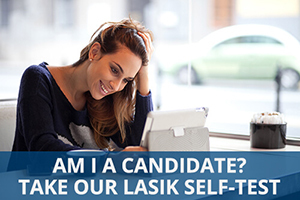 Your vision will improve fairly rapidly and final visual results can be obtained in 1-6 months. Glasses are prescribed as needed. Even though only a portion of the cornea is transplanted, problems can still arise. If you experience redness, pain, loss of vision, or any other concerns, you MUST call our office immediately at (843) 797-3676. The latest advance in endothelial transplantation is transplanting only the endothelial cells with their membrane. This differs from DSAEK because no corneal stroma (the substance of the cornea) is transplanted. This procedure is chosen in select cases because the visual acuity after surgery can be better than DSAEK by a small amount. It also comes with a higher risk of needing additional surgeries, and sometimes the DMEK fails and a DSAEK must be performed. This transplant was first performed by Dr. Vroman in 2009 and he was one of the first cornea surgeons in the world to accomplish it. At times, the front portion of the cornea can be damaged while the endothelium is healthy. In ideal circumstances, only the diseased anterior portion of the cornea will be transplanted through either a Lamellar Keratoplasty (LK) or Deep Anterior Lamella Keratoplasty (DALK) procedure. The risks and follow up care are similar to a PK. This alternative is a solution in special situations. Corneal transplantation may be recommended when your vision needs or the health of your eye requires it. New technology and surgical advancements have made corneal transplantation a great option for helping patients restore vision where options were previously limited. Performed at a local surgery center, corneal transplantation is a painless outpatient procedure, allowing patients to recover in the comfort of their own home after the surgery. Corneal transplant patients are in great hands at Carolina Cataract & Laser Center. Dr. David Vroman is a known leader in the field of corneal transplantation and was one of the first corneal surgeons to perform the DSAEK procedure in the country. Dr. Vroman currently serves as the Medical Director of the Lifepoint Eye Bank as well, allowing him direct involvement in the organization’s policies and procedures related to the harvesting of corneal tissue for transplantation. 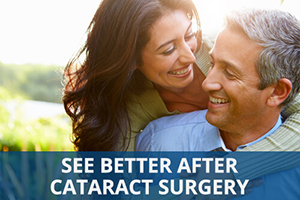 The combined leadership and expertise of both Dr. Vroman, Dr. Budev and Dr. Neff ensure that patients of Carolina Cataract & Laser Center are receiving the best in surgical care and treatment options. If you or a family member is considering corneal transplantation and would like more information or to schedule an evaluation, please call (843) 797.3676.